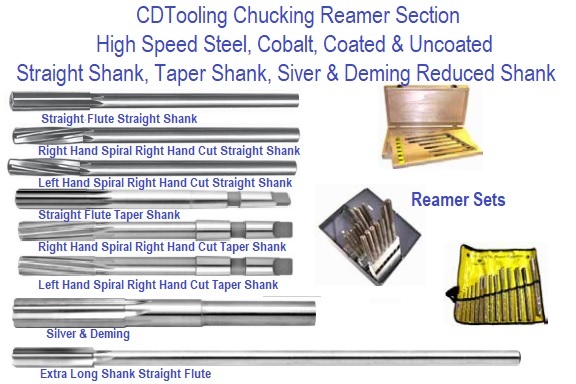 A typical reamer consists of a set of parallel straight or helical cutting edges along the length of a cylindrical body. Each cutting edge is ground at a slight angle and with a slight undercut below the cutting edge. 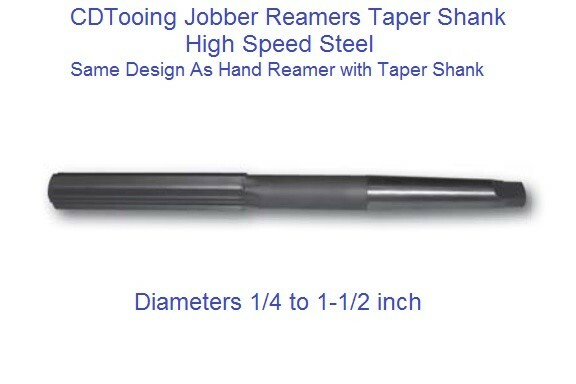 Reamers must combine both hardness in the cutting edges, for long life, and toughness, so that the tool does not fail under the normal forces of use. They should only be used to remove small amounts of material. 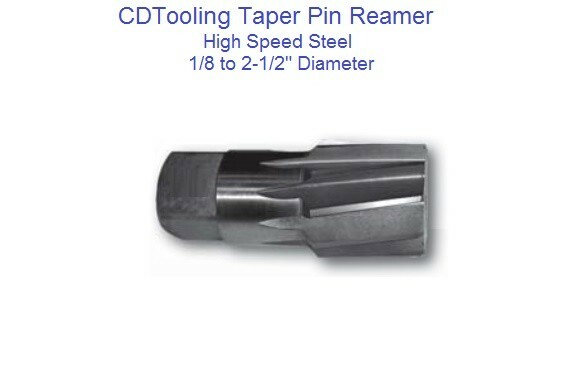 This ensures a long life for the reamer and a superior finish to the hole. The spiral may be clockwise or counter-clockwise depending on usage. 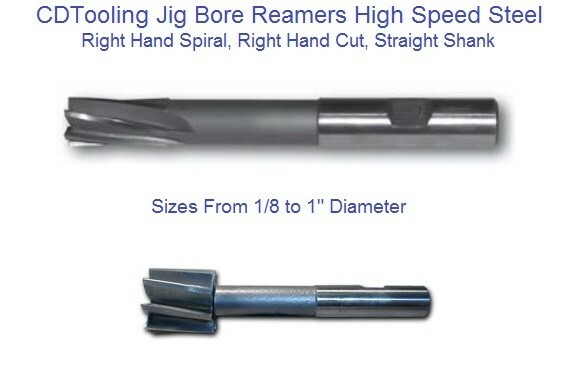 For example, a tapered hand reamer with a clockwise spiral will tend to self feed as it is used, possibly leading to a wedging action and consequent breakage. 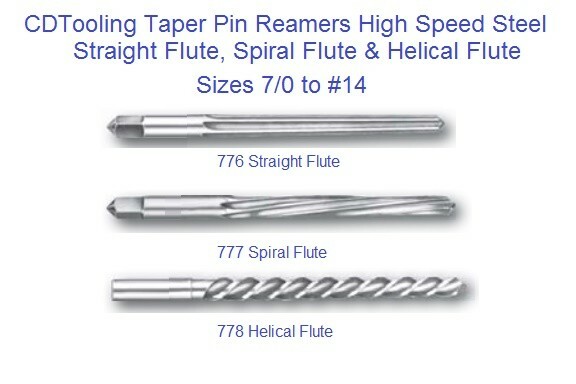 A counter-clockwise spiral is therefore preferred even though the reamer is still turned in the clockwise direction. For production machine tools, the shank type is usually one of the following: a standard taper (such as Morse or Brown & Sharpe), a straight round shank to be held by a collet, or a straight round shank with a flat for a set screw, to be held by a solid tool holder. For hand tools, the shank end is usually a square drive, intended for use with the same type of wrench used to turn a tap for the cutting of screw threads. Adjustable Hand Reamers are designed with enough adjustment to ream almost any odd size hole. Expansion Reamers are designed to enlarge reamed holes by a few thousandths. 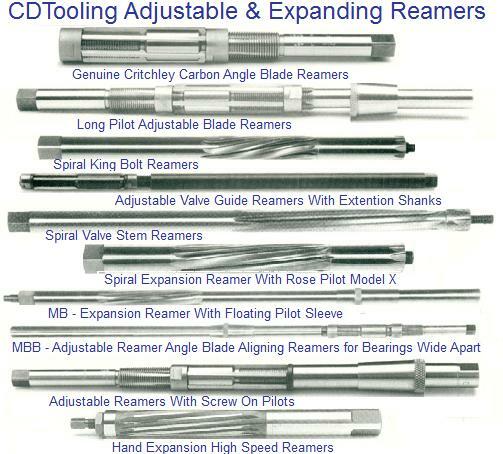 The pilot and guide on these reamers are ground slightly under size for clearance and to guide reamer. 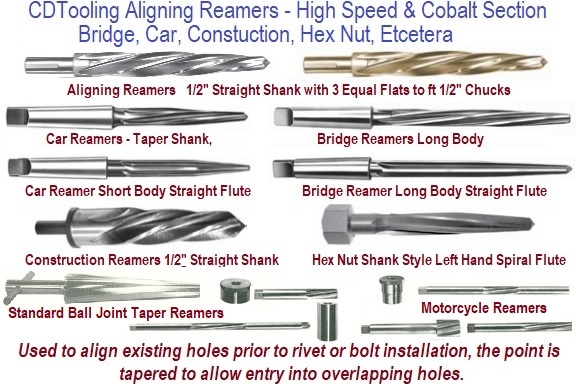 Aligning Reamers, Bridge, Car, Construction Used to align existing holes prior to rivet or bolt installation, the point is tapered to allow entry into overlapping holes. High-speed steels Most commonly used. Inexpensive. Hardness up to Rc 67. Sharp cutting edges, meaning less cutting force. and/or work hardening materials such as titanium and stainless steel.